In case you missed it, over the weekend I updated THE SHOP! Lots of amazing fresh finds for the spring/summer season can be found in the STYLE STAPLES, SPRING/SUMMER and UNDER $100 tabs. 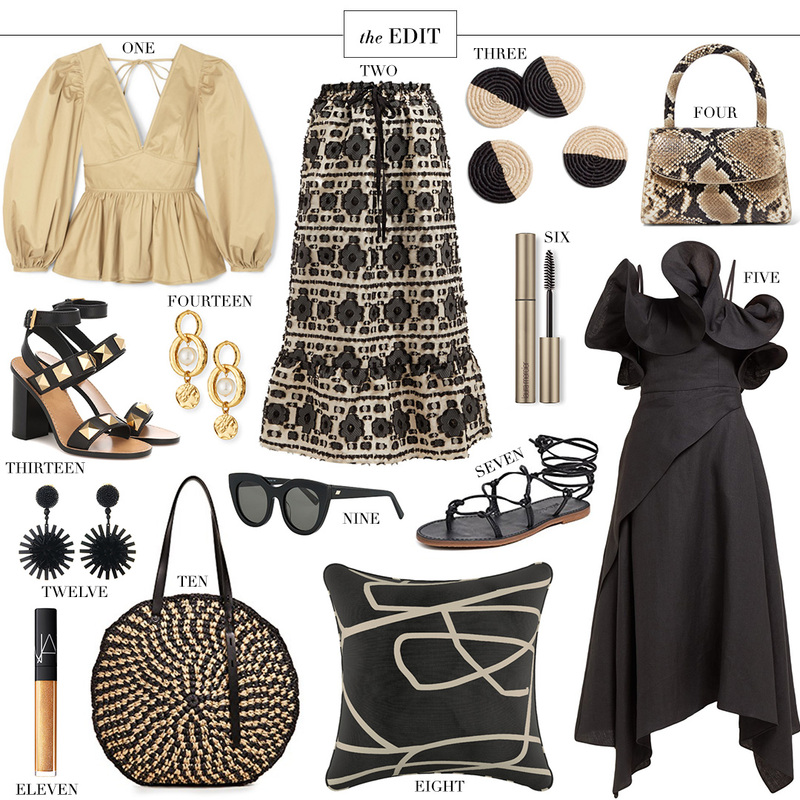 My inspiration for this week’s EDIT comes from a few of those new discoveries, including this incredible ruffled midi dress and this knockout neutral top! Both are on my wish list. Both are gorgeous neutrals you can wear again and again, but both feature details that make them interesting… The best kind of statement staples! Speaking of updates… if all goes according to plan, I’ll be launching my new website design early next week! As I’ve mentioned before, there aren’t a ton of new changes. Just a couple of aesthetic updates and some improvements that will hopefully make it even easier for you to read and find what you’re looking for! I want this to be a place you continue to come to daily for inspiration, motivation, or whatever else you need. I always welcome feedback, so if you have any for me be sure to send me an email! Can’t wait for y’all to see the new design and hear what you think!